Easy to clear the surface. The seat is very 1. About payment. 2. About package method. Langfang Tongyang Import & Export Trade Co., Ltd.
Bazhou Shunchao Furniture Co., Ltd.
Bazhou BOB Furniture Co., Ltd.
Q1: Are you a dining chair manufacturer or trading company9 A1: Of course, we are a dining chair manufacturer. One is located is Shengfang Town,Bazhou city,Hebei province;The other factory is located Tang'erli Town,Hebei province. Q8: What's your policy for sample9 A8: Sample is free, but freight cost by yourself. Custom products (OEM) &ndash; our professional designer team can make designs according to your drawings or pictures. Kindly contact us if any missing spare parts or product damages, we will deliver new parts as soon as we can. Furthermore, we will deliver your feedback to our production dept and designer team to improve quality. The diameter depends on the design 2.Rattan: SGS tested rattan, UV resistant, colorfast, weatherproof . Flat rattan: normally 6mm,7mm or 8mm ; round rattan: Diameter is between 1.5mm to 2.5mm to 3.0mm 3. Fiber: Crafted from UV-resistant all-weather resin wicker, weave style and color is optional. We located in Foshan Shunde, Welcome to visit us anytime. Bazhou Youzhun Trading Co., Ltd.
leather fabric contemporary modern luxury dining room chairs set of 4 Bazhou Handsome Furniture Co.,Ltd. Our main products includ:office chair,bar stool,dining chair,outdoor furniture,ect. Please contact our sales, they will check with designers, to get a perfect scheme and quotation. 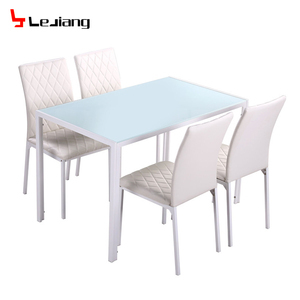 ,LTD Product Name 1+4 cheap dining table and chair set Item no. 5. Iron finished by spraying,silver or black or any color,smooth,no rust . Product price will be subjected to finial confirmation. Zhangzhou Wanjiahua Industry And Trade Co., Ltd.
Huzhou Tianshu Home Supplies Co., Ltd.
Langfang Peiyao Trading Co., Ltd.
We are located in Shengfang town, Bazhou City, Hebei Province. We have 100 employees, and pay more attention to quality and workmanship. We will provide you with the best quality products and service. Yichun Fulin Wood Works Co., Ltd. It enjoys convenient transportation facility near to Baiyun Internation airport,In 10 minutes by airport haigh way,and it is also near to Guangzhou Huangpu Sea Port. Our outdoor/Garden furniture are including cast iron park bench,umbrella Base,adirondack chair,wooden table,chair ,wooden planter,umbrella an d other outdoor furniture. Sincerely welcome you to visit our factory and we are desirous of establishing long-term business relationship with you. Alibaba.com offers 912 cheap dining chairs set of 4 products. About 40% of these are dining room sets, 17% are dining tables, and 9% are dining chairs. A wide variety of cheap dining chairs set of 4 options are available to you, such as dining chair, living room chair, and dining table. You can also choose from metal, synthetic leather, and plastic. As well as from no, yes. And whether cheap dining chairs set of 4 is modern, or antique. 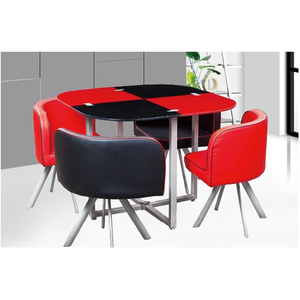 There are 912 cheap dining chairs set of 4 suppliers, mainly located in Asia. 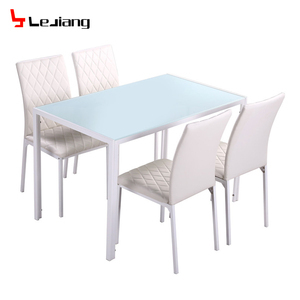 The top supplying countries are China (Mainland), Malaysia, and Vietnam, which supply 91%, 4%, and 1% of cheap dining chairs set of 4 respectively. 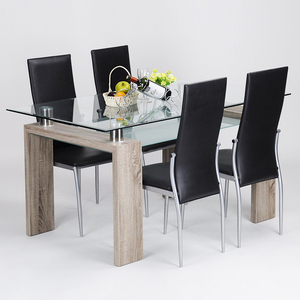 Cheap dining chairs set of 4 products are most popular in Western Europe, North America, and South America. You can ensure product safety by selecting from certified suppliers, including 236 with ISO9001, 65 with ISO14001, and 63 with Other certification.